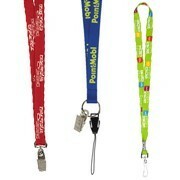 Lanyards are a great way to make a complete package deal for company events. They can be used to carry credentials at trade-shows, concerts or for holding ID cards for schools and hospitals. If your client has a long lead time, overseas printing is a great way to keep costs even lower. Please ask your sales associate for more information about overseas production. 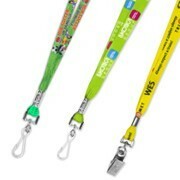 At Innovation we have many different sized lanyards that accommodate large imprints and logos. 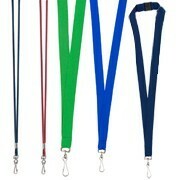 You can also order lanyards blank without printing. 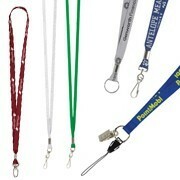 These blank lanyards offer the same level of utility without the added cost of printing and can be shipped immediately. Innovation Line works very hard to exceed our distributors expectations . Contact your sales associate today so we can show you why we are one of the fastest growing suppliers in the industry.